To celebrate the 100th anniversary of Armistice Day, the paints will be out at beloved on Saturday 10th November for anyone who wants to paint a poppy, which will then be displayed in the windows of the gallery. There will be poppy templates for those who are less confident in their artistic capabilities but who nevertheless want to join in to mark this special day. For those who are ready to let the creative juices flow there will be plenty of different mediums of paint and other materials available to create their poppy. 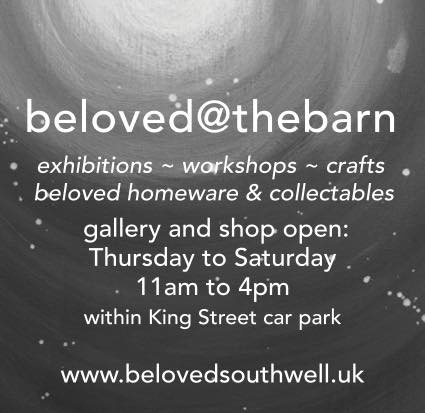 This is a drop-in activity for all ages, no need to book, just pop in between 12pm and 4pm at beloved@thebarn in Kings Street car park. Throughout the rest of October, there is still the opportunity to view the beautiful artworks of Oliver Dunn and guest artist for November is Emily Cartwright from Newark, who creates incredible drawings with pen and ink.